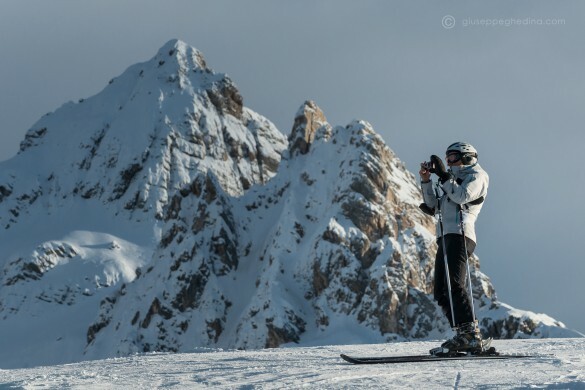 Dolomite Mountains Ski Safaris offer unique, multi-day adventures – and are truly the best way to explore the Italian Alps in winter! You’ll ski from resort to resort across the Dolomites, enjoying the advantage of lift service pistes, and savoring an unforgettable holiday. Book today! 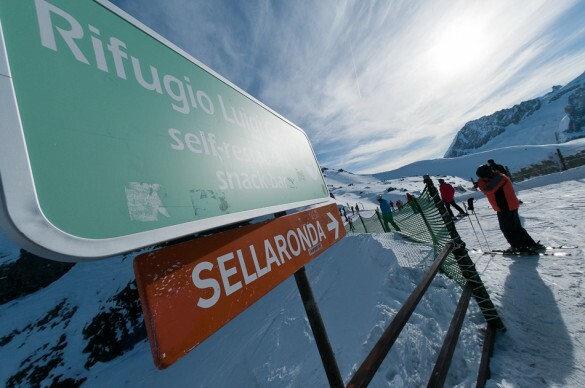 Ski Safari: The Best Way to Explore the Italian Alps in Winter! 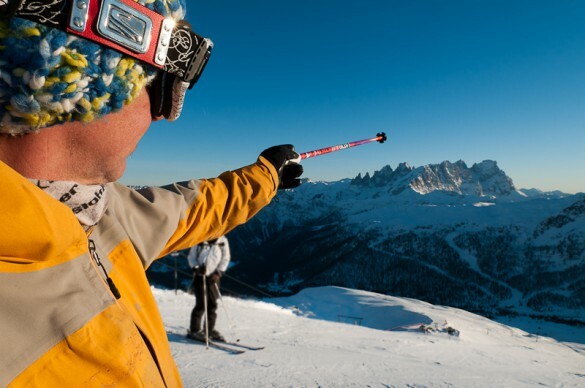 One of the best ways to explore the Dolomites in winter is on a Dolomite Mountains Ski Safari. On these multi-day trips, you will ski from resort-to-resort, aided by ski lifts. 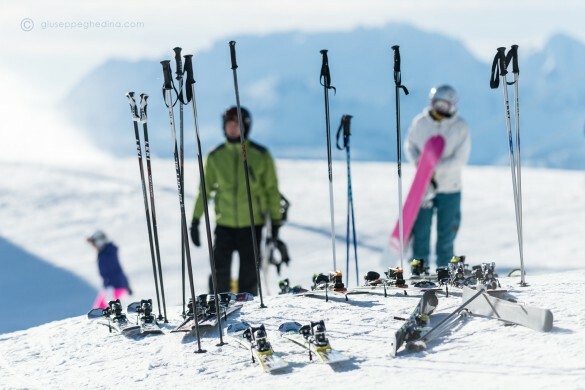 No hiking, no snowshoeing, no skinning – just skiing, pure and simple! 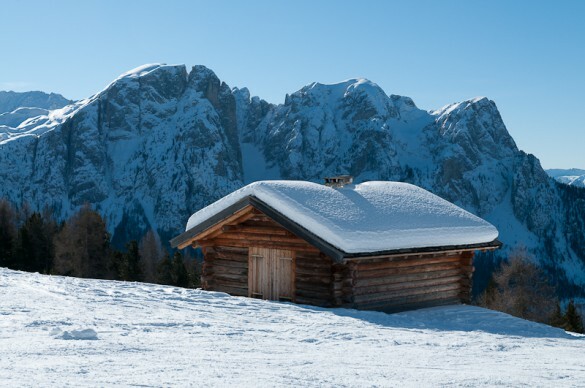 Our ski safaris offer much more than classic resort skiing: in addition to descending beautiful pistes at the Dolomiti Superski resorts, you’ll move from valley to valley each day on skis, enjoying different accommodations most nights. Each evening you’ll experience the welcoming atmosphere of hotels and rifugios – alpine inns set high atop the mountains, where you can savor the excellent culture and cuisine unique to the region. Plus, you’ll enjoy the advantage of lift-service pistes to help you move from hut to hut, so you can focus on enjoying your downhill turns. Nowhere else in the world can you access such a variety of lift-service skiing terrain covering so much ground, where no two days of skiing are ever the same! And on a Dolomite Mountains Ski Safari, we put it all together for you – superb terrain, incredible accommodation, and expert guidance, making it the number one choice for a winter ski holidays. Please contact us for more information on booking your winter holiday in the Dolomites. Experience the ultimate pampering experience at the Rosa Alpina Hotel & Spa and embark on a journey across the Dolomites. Indulge on our Glamorous ski safari Experience to discover enchanted valleys hosting pristine slopes, and savor gourmet dishes and wines of northern Italy. The ultimate pursuit of excellence! A winter family vacation that is so much more than “just” a ski trip! Explore the Dolomites on skis, moving from hut-to-hut each night, entirely on groomed, lift-served runs. World-class on- and off-piste terrain, magnificent vistas, three different cultures and cuisines – quite simply the best winter family vacation ever! 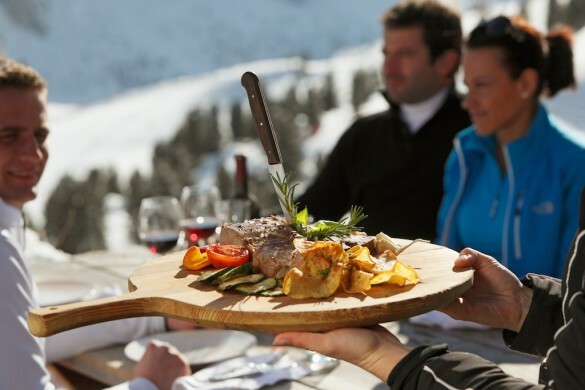 Experience the gastronomic ski trip of a lifetime! 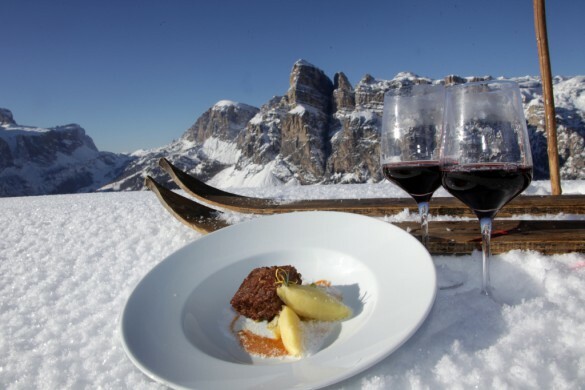 Savor the refined cuisine and fine wines of northern Italy on an indulgent ski safari that includes “A Taste for Skiing in Alta Badia.” Plus, you’ll be pampered at luxury accommodations in Cortina d’Ampezzo and Alta Badia! If you love full days of skiing at a variety of resorts and on different terrain each day, this is the trip for you! Ski safari hut-to-hut through the Dolomites, leveraging lift-service pistes so you can focus on your downhill turns. On this luxury trip, spend your days skiing the Dolomites, exploring many of the best-known Dolomiti Superski resorts, including Cortina, Alta Badia, and Marmolada. 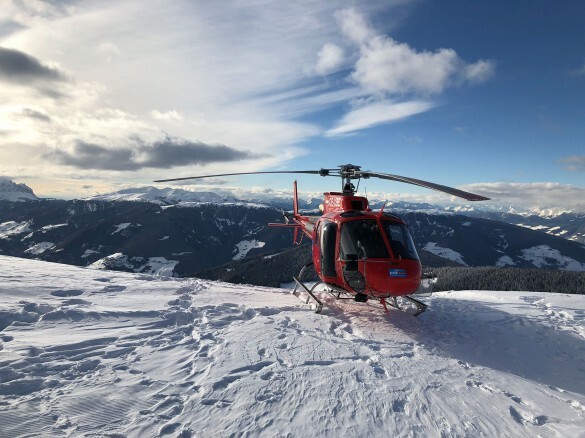 Savor evenings at your exclusive private lodge, and enjoy transfers to and from the slopes each day by helicopter! Traverse the Dolomites in style and luxury! 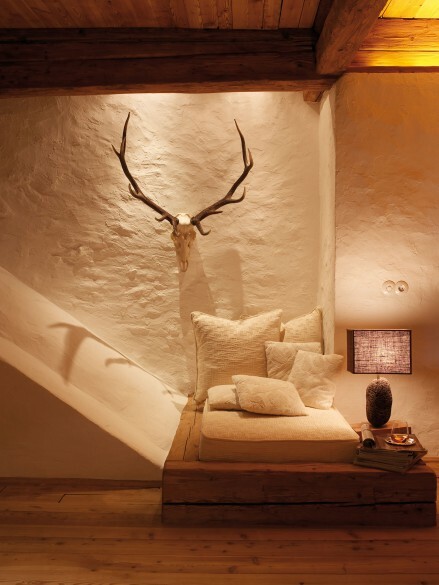 Explore the chic Dolomiti Superski as you move from resort-to-resort, enjoying hundreds of miles of pistes, and enjoy exclusive accommodations at the White Deer San Lorenzo Mountain Lodge – a restored antique hunting lodge that offers secluded, silent luxury. Join us for the ultimate ski safari, and ski the Dolomites most famous resorts, staying in mountain rifugios and charming B&Bs, and enjoying lift-service access to hundreds of miles of prepared terrain – you may never ski the same run twice! Short on time? Why not take our winter "getaway" trip and ski from hut-to-hut entirely on groomed, lift-served runs! 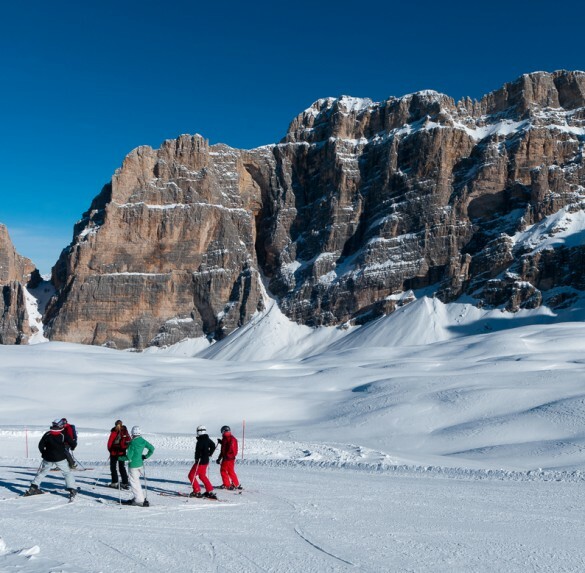 Explore the Dolomites on skis, moving from rifugio-to-rifugio each night, taking in different vistas, marvellous cuisine, and skiing the Dolomites world-class on-piste terrain. Ski from valley-to-valley exploring sunny, groomed pistes and discovering the gourmet cuisine and fine wine of the Dolomites. What's more, each night you'll enjoy the warm hospitality and comforts of the cozy hotels in town! Ski from valley to valley, exploring six of the 12 ski resorts the Dolomites has to offer! Along the way, you'll discover the gourmet cuisine and fine wine of the Dolomites, while exploring sunny, groomed pistes and off-piste descents featuring some of the best skiing in the world!